Honey Bootique: Gorjuss Hello Winter! 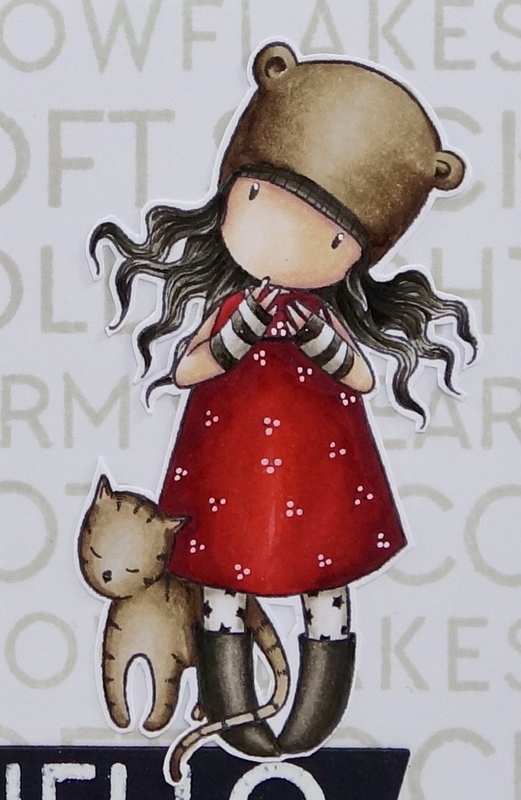 I coloured Gorjuss' Purfect Love with copics and then added some white gel pen highlights. I used my MISTI to stamp the background stamp along the panel in grey ink. I then adhered a strip of patterned paper down the left side and added the embossed sentiment and die-cut "winter" and a teeny heart. Unfortunately I can't take credit for the layout/design of this card. 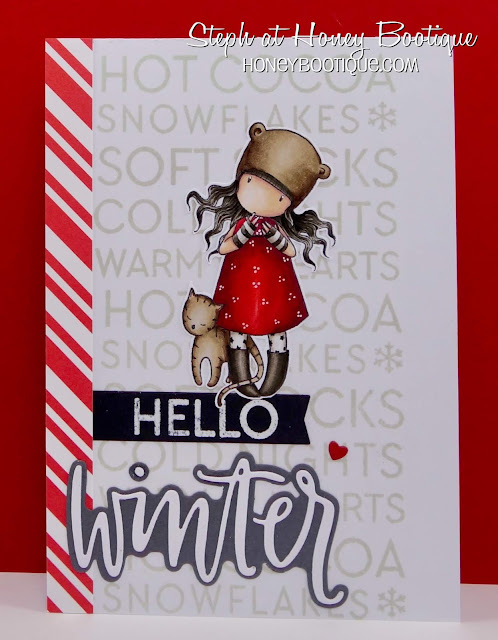 I saw Kay Miller first showcasing the Neat And Tangled Hello Winter stamp set and die and just loved what she'd done with them so I wanted to re-create the look but just use this Gorjuss stamp instead. I've even done it in a green colour -way which I'll share another day. Here's your close up. Such an adorable stamp!